Congratulations! You’ve decided to make the commitment and add a new family member. There are animal shelters across the United States that are filled with animals waiting for their permanent, loving homes. There is a misconception that the animals in shelters are “damaged” goods. That is far from the truth. An overwhelming percentage of shelter animals are surrendered by their owners because of relocation, divorce or financial problems. Many owners have not thought ahead and made arrangements for their pets in the event of their deaths, so the family drops the animal at the local shelter. The dogs and cats at shelters are wonderful animals and will make perfect pets. More than 5 million animals are put to death at shelters because of overpopulation and irresponsible pet owners. All of us have certain expectations from our pets, just as we do from our friends and family. Many people like independent, aloof cats; others prefer lap cats who will be socially interactive. Many dog lovers want to hike with their dogs; others want couch potatoes. It is essential that you visit the shelter or find the rescue group that will match your wishes with the right animal. These groups have spent time familiarizing themselves with the animals and know which animals are best suited for your lifestyle and expectations. They know their personalities and dominant breed and will match you with the animal of your dreams. The dogs at many shelters spend an inordinate amount of time in their kennels and have a lot of energy. Find a shelter that has play yards where the dogs will have some time to burn off their energy before you spend some time with them. They are in a high-stress environment and you will need to be patient and allow them some time to relax. Not all dogs or cats will love you the instant you meet. Why should they? Love at first sight is a dream. Observe how they interact with shelter staff and volunteers. The dogs and cats see these folks as their families and the love that is demonstrated to them will be transferred to their new family in just a matter of time. Do not be surprised if you are asked many questions about your lifestyle, level of commitment and financial status. Shelters are concerned about the future of their animals and want to be certain that you have thought through your decision to adopt a pet and can afford to care for it. The adoption process varies from shelter to shelter but all have the animal’s best interests at heart. 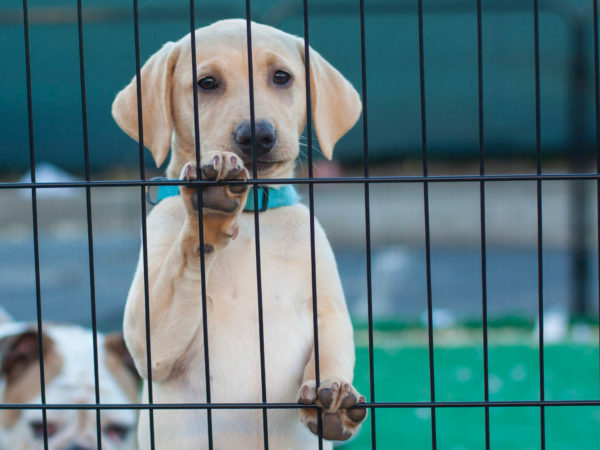 Many shelters and rescue groups will ask that your current pets, specifically dogs, meet their potential new siblings prior to finalizing an adoption. It is stressful and heart wrenching for all involved to bring home a new dog only to find that it is not the right match for your family pet and then having to return the animal to the shelter. Although we all feel that our family dogs get along with everyone, such may not be the case. It is best to introduce them before a final decision has been made. Home visits are required by many rescue groups, especially those who have their dogs and cats in foster homes while awaiting adoption. Don’t be offended that the rescue personnel want to visit your home. The intent is to make sure that your home meets the needs of the animal and that the entire family is “on board” with the adoption. Try to find a shelter where each animal has been examined by a veterinarian. 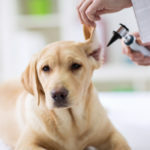 It may not need to be an extensive examination – just one that is sufficient to identify any condition that might warrant long-term veterinary care. There is never a guarantee from a shelter, rescue, pet store or breeder that the animal that you’ve fallen in love with does not have a medical condition that is not apparent at the time of adoption. As with humans, many illnesses do not present themselves at all times or only become a problem with age. Hip dysplasia and other common canine conditions are often age-related and breed-related so be sure to ask your adoption counselor about the dominant breed of your dog or cat. It may help you to decide if it is the right pet for you. Finding a loving, companion animal is quite simple. 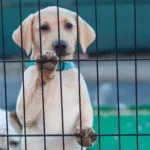 Nearly all of the animal shelters and rescue groups now have Web sites and many have pictures of the animals available for adoption and define their requirements for adoption. An Internet search will direct you to your local shelter and groups. Your local county facility (commonly referred to as the pound, animal or rabies control) may also have pets available for adoption. Don’t let the name or condition of the facility keep you away. Great pets are often found in the most unlikely places.